RVing is a great option for having freedom on the road and is typically the most budget friendly way to travel, having all your needs met practically within steps. Even with all the luxuries, some still have a misconception that it’s not enough space for a whole family or a group to travel together. However, every year there are more innovations to create space and comfort no matter how many climb aboard. One of our favorites up to that task is the two bedroom travel trailer. Read on to discover what two bedrooms entail and what your floor plan could look like. The best way to make room for more bodies in an RV is to be a bunk model. An RV that’s classified as a bunk model is simply one that comes with bunk bed sleeping arrangements. In this case, we are referring to travel trailers that have bunks and two separate sleeping quarters. These towables offer more options for the whole family and perhaps then some. Some floor plans have space for up to 12 people to sleep comfortably! The first here is a 2018 Winnebago Minnie. As you can see here, the space between the queen bed and the bunk beds are similar to a room mate floor plan in apartments. This can also be viewed by parents or grandparents traveling with kids as perfect opportunity to have some private space. The same idea goes for all of the two bedroom travel trailers, an uptick in privacy can go a long way for quality of travel. In this particular camper, there are three unique areas for passengers to rest so there’s less of a chance to get in someone’s way. Next, we have a 2018 Starcraft GPS. The floor plan here is similar with the queen bed at the hitch end and the bunks being in the back. There is also still an additional area to sleep in the middle. This Starcraft is a tad smaller than the above model but still comes with the extra convenience of separate space. Then, we have the 2018 Jayco Jay Flight. Here, again, we have three areas to sleep, two of which are closed off. We have more of a hallway with slide outs to add to the distance with the bunks. The placement of the rooms in this travel trailer offer plenty of elbow room when getting ready to head out for the day or even wind down in the centered living space. So, as you can see, these are great floor plans whether you’re a traveling family, group, or even traveling with another couple. The private areas and spaced out beds just might be the exact motivation for you to try the RV lifestyle or upgrade your current camper. 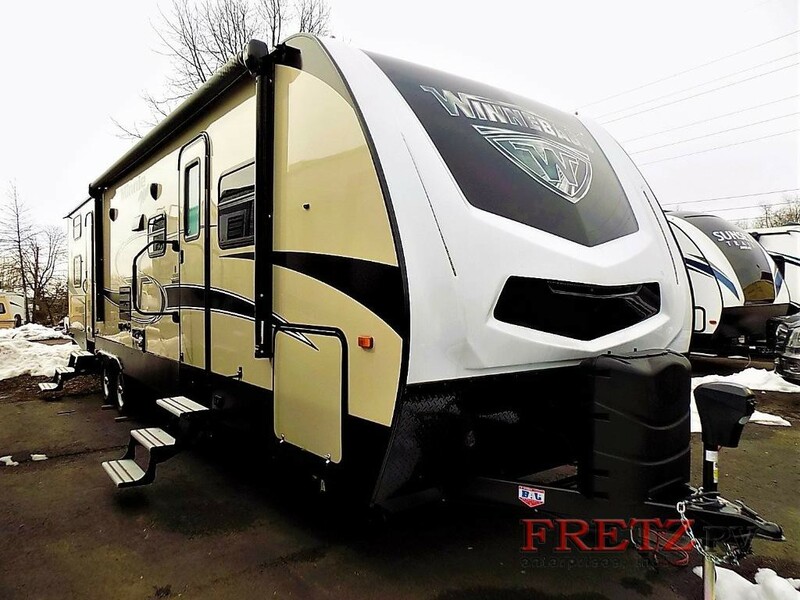 Check out more two bedroom travel trailers like this one by clicking here. If you have any questions, stop by in person, give us a call, or feel free to tweet or send a message on Facebook or Instagram.